His style is striking in the Stella McCartney Kids™ Snake Sweater. Snake graphic along the arms and shoulders. Straight hemline with snake graphic. 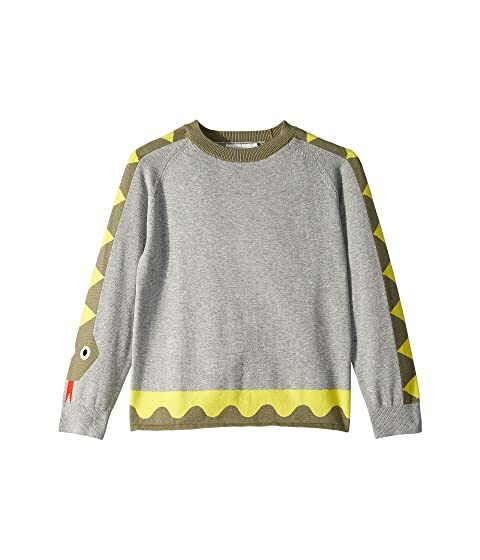 We can't currently find any similar items for the Snake Sweater Early (Toddler/Little Kids/Big Kids) by Stella McCartney Kids. Sorry!